Here is my very first recipe. 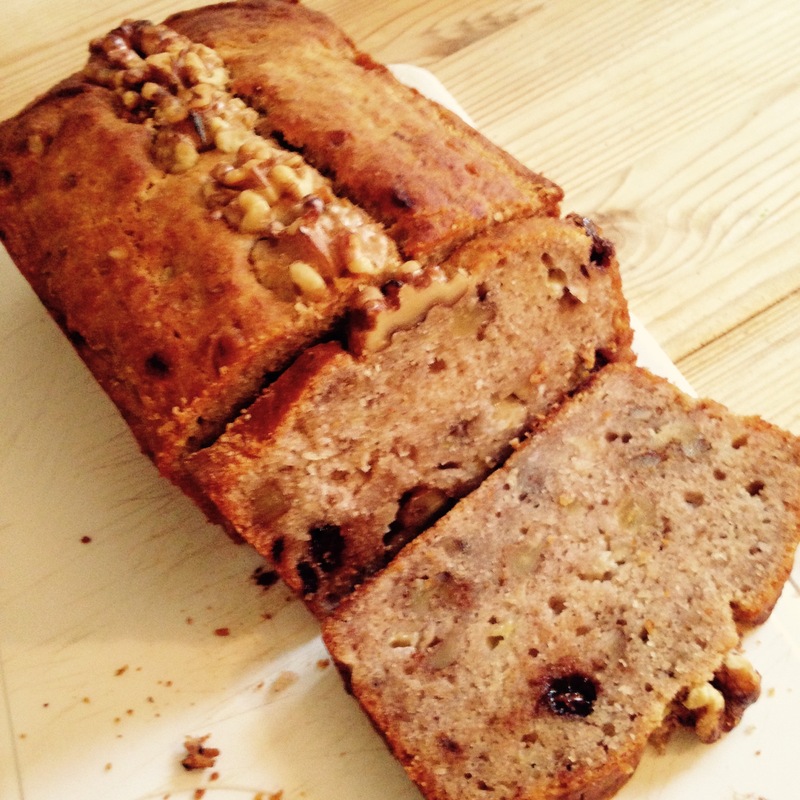 A classic sweet loaf that’s delicious and healthy! Even good enough for breakfast as there are no added refined sugars, is gluten free and high in protein! 1. Preheat fan oven to 170 degrees celcius. 2. Grease 2 pound loaf tin with some coconut oil. 3. Mix all dry ingredients in a large bowl using a whisk (get rid of lumps and bumps and mix well). 5. Add all wet ingredients and only half the milk/water to the banana and mix well. 6. Make a well in the dry flour mix and add all the wet into the middle of the well. 7. Using a spatula, fold the wet into the dry until all mixed but be careful to not to over mix or the bread will turn out very dense. Add more of the milk/water if needed to make a wet (not too runny) porridge consistency. 8. Add the little extras (if doing so) and again be careful not to over mix as you fold these into the batter. 9. Pour into the greased tin and place on middle shelf of oven. 10. Set timer for 40 – 50 minutes and wait! I suggest a nice cup of tea as you wait! 11. After 40 mins test if cooked using clean knife method: insert knife into middle and if it comes out clean its done! You are also looking for a nice golden brown colour on top. 13. Now leave it for another 20 minutes at least – leave it! I promise it will be worth it!